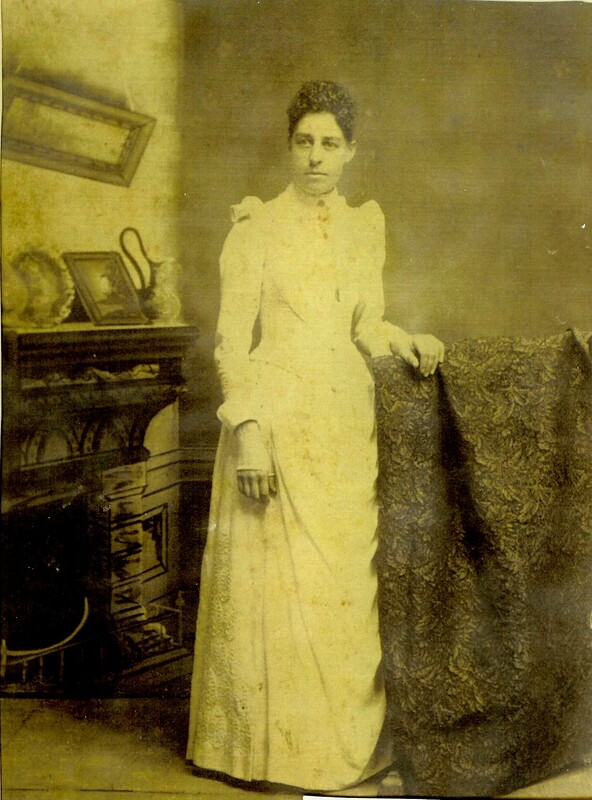 Nancy Sarah Jane “Janie” Winecoff, c. 1894. Charlie and Janie Winecoff Weant, c. 1950. Image courtesy of wtruesdel, http://www.ancestry.com. Children of Carrie Belle Weant Mauldin. Raised by grandparents after her death. Salisbury Evening Post (Salisbury, NC), 15 Sep 1919, p. 3. MR. AND MRS. WEANT’S SILVER WEDDING. Several Hundred Friends Gather and Help to Celebrate the Silver Anniversary – Barbecue and Musical Numbers Featured the Event. Spencer, Sept. 16 – In celebrating their silver wedding on Saturday Mr. and Mrs. Chas A. Weant residing near Spencer, entertained several hundred of their friends and neighbors at a sumptous [sic] feast including a splendid barbecue. The event has been well arranged by Mr. Weant and half a hundred families residing in Franklin township had been invited. An enjoyable program consisting of music and addresses had been provided. Devotional exercises were conducted by Rev. Floyd B. Lingle of Spencer, and a welcome was given in a cordial manner by Mr. Weant. Other speakers included Rev. D. W. Fry, of Mocksville, and Rev. T. L. Cashwell of Statesville. In the course of his address, which recalled many incidents of interest to the family, Rev. Cashwell presented a handsome ring to Mrs. Weant, the gift of her husband, while a splendid silver tea set was presented to Mr. and Mrs. Weant by their children. The music was a feature of the occasion, a number of old time songs being well rendered. “Love at Home,” was sung in an impressive manner by the children and the large crowd present was thrilled by the songs as well as by the addresses which were very touching. Guests from a distance included persons from Davidson, Davie, Iredell, Cabarrus, Rowan, and other counties. Barbecued pigs and lamb was a distinct feature of the occasion, while the neighbors literally weighted down the long tables with heavy baskets of good things to eat. The great crowd ate to its fill and there was plenty left. The barbecue was done in an artistic manner by Messrs. William Kester, Luther Weant, Dan Leonard and Mr. Weant, and those who ate declared it to be one of the best given in this section. Mr. Weant was never happier than when he was surrounded by something like three hundred of his neighbors, all gathered to congratulate him and Mrs. Weant on passing the 25th mile-post in their married life and to wish them many more years of success and continued happiness. Salisbury Evening Post (Salisbury, NC), 20 Dec 1920, p. 5. District No. 3 Franklin Township. SALISBURY, Feb 26 – Mrs. Charles A. Weant, 85, of Route 8, Salisbury, died today at Rowan Memorial Hospital following an illness of a week. The former Sarah Jane Winecoff, she formerly gave organ lessons. Mrs. Weant was a member of Calvary Lutheran Church and a teacher in its Sunday school. She is survived by her husband, two sons, Luther Y. Weant of Spencer and Charles W. Weant of Route 8, Salisbury; eight daughters, Mrs. A. B. Beck, Mrs. C. F. Buie, Mrs. H. H. Henderson and Mrs. P. A. Cruse, all of Route 8, Salisbury, Miss Mary Weant of the home, Mrs. B. F. Krohn of Jacksonville, Miss Kathleen Weant of Wilmington and Miss Cleta Weant of the home; 20 grandchildren and 28 great-grandchildren. Funeral service will be conducted Sunday at 3 p.m. at Calvary Lutheran Church by the Rev. C. Marion Starr. Burial will be in the Bethel Lutheran Church cemetery.